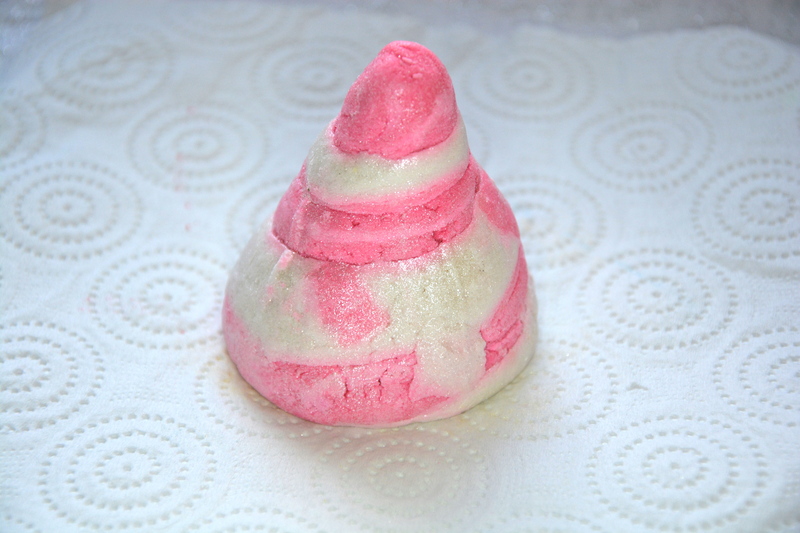 Probably the sweetest smelling Christmas product from Lush, Candy Mountain Bubble Bar is an old favourite of mine. I remember a few Christmases ago this was named Candy Cane Bubble Bar and it looked similar to the comforter. It also shares its scent with Rock Star Soap and Creamy Candy Bubble Bar, so you can get your candy fix all year round. The Lush website says it contains Fair Trade Vanilla Absolute, but I am not sure that is what I can smell. It is a lot sweeter, more like candy floss or something similar. The scent also lasts for the entire time you are in the bath and I can even smell it on my skin once I am out – especially when I have used a good chunk of the bar. One of the things I love about Lush bubble bars is that the bubbles last a really long time. 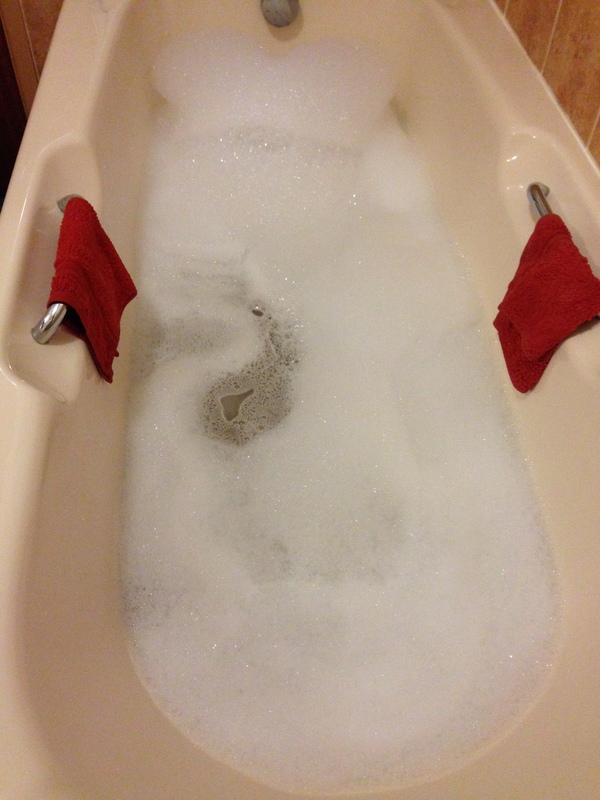 It really bugs me if I run a lovely bath full of bubbles that disappear after 2 minutes in the bath. These bubbles last until I have finished in the bath – about an hour if I’m lucky – and they even linger in the bath once the water has gone. I am sure Lush adds magic powder or something to them to make them last this long. Just the tip of the Candy Mountain is enough to fill a bath with enough bubbles for me so I am thinking I will get at least 3 baths out of this bubble bar, which makes it good value for money. I guess it will depend on how much you use though. As you can see it doesn’t really turn the water pink like you think it would, and the sheen you can see on the bubble bar doesn’t transfer as glitter in the bath. I am sure I will be purchasing a few more of these bubble bars before the Christmas period is over along with Cinders Bath Bomb – which I previously reviewed here. Lush Candy Mountain Bubble Bar retails for £2.95 and is available here.